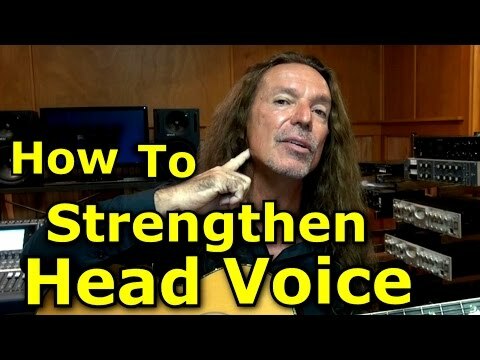 How can I strengthen my head voice? I'm trying to sing "How deep is your love?" January 2018 in SHOW TIME - Band Rehearsals and Performance Day!!! This is where I'm at. I've been singing for an awful lot of years, but only took on serious voice training last summer. I've been doing the KTVA program for 87 days and recently moved to volume two. I practice for hours nearly every day. I try to go into head voice at the chorus. But it's so hard for me. I know it should feel smooth, but it just doesn't. I've never been able to sing with a proper head voice. I feel like I have to make it breathy to be able to go into head voice at all. I don't know how to get good chord closure up there without choking my voice or going into mixed voice. I try to use mixed voice instead during the last chorus, but that doesn't sound nice to my ears either. Please help! I would love to be able to sing this nicely with a friend on the street. There is a little bit of breathiness in most of the things you sing. You haven't quite figured out how to vary your cord closure. Also, a Bee Gees type of head voice has a bit of nasal sound in it. Some of the same Mask sound that you make when you do the tongue exercise with your mouth closed. Kind of chipmunky sounding. You kind of put the sound at the front of the cords. You can hear a little more of that sound in "I Just Want to Be Your Everything" That sound will help you get into your Bee Gees sound. How Deep is Your Love is very soft, and will tend to make you very airy. First you kind of need to find your Bee Gees voice, then try to take that voice into How Deep is Your Love. 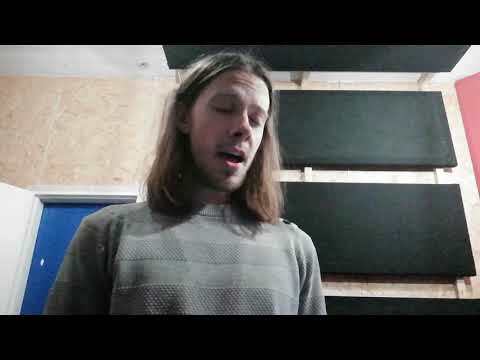 Good to hear of another person spending some quality time into developing the vocals. I hope you can find the answer to developing the ranges you are after. Thank you friends. So how do I gain better chord closure? What should I look into? Can you point me in the right direction? 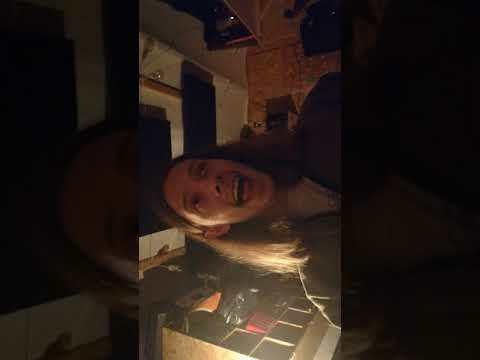 I´ve been trying to do the head voice a little more nasally like the Gibbs guys. When you cough, you close your cords. When you hold your breath you close your cords. When you speak you close your cords. So you know how to close your cords. You're just not very experienced with varying that amount of tension that you hold them closed at. If you make a "grunting" sound that is very closed cords. If you make an airy sound or a hooty falsetto sound, you are holding the cords open just a little bit and some air is coming through without producing any sound other than a hiss. If you make a sound of an "h" sustained, like hhhhhhhhhhhhhhhhhhhhhhhhhhh, that is the sound of air rushing between your partially open cords. So you know how to get that position. I hear a little bit of open cords in most all of your demos, and probably tell you that you could use a little more cord closure. That will give you more timbre in your voice, and make your air last a LOT longer with more volume. So you can cut the volume a little and save even more air, with great tone and no leaking air sound. The Bee Gees sound is a timbral and nasally sounding version of head voice. 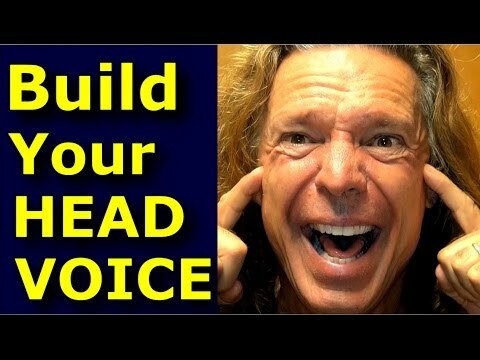 You can play around with placing the sound in different resonance areas up high in your skull and nasal/sinus cavities and find resonant areas that really ring out on a Bee Gees or Robert Plant High whining sound. Thanks a lot. That helps clear up some things. I think I might unintentionally be keeping my vocal cords too far apart as a result of trying my best to keep an open throat. Like open vocal cords is the feeling I associate with open throat, you know? I would sooo love to ditch that habit. I feel I'm close to something here. I sense it will help me a lot like you said. I feel pretty good about breath, support and vowel mods, but I'm missing this, and I'm gonna get it for sure, with guidance from you people at KTVA. 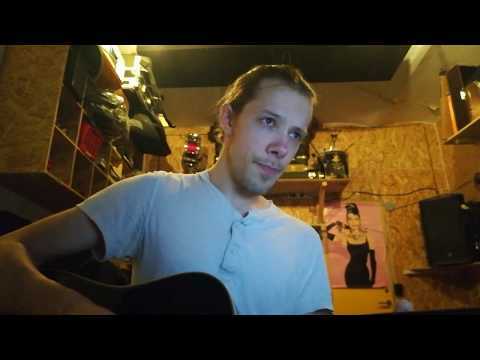 I guess I really need to get myself a mirror in the room where I practice, so I can learn to have chord closure and open throat at the same time. I only have a mirror in my bathroom that I share with other people. Can't really be doing too much LAH in there when people might be waiting in line outside to come in and take a dump, haha. It's true that your cords should be comfortably closed, yet the rest of the vocal tract needs to be open quite wide and kept that way for as much of the time as possible. I tried applying what you suggested and also took the song down four more semi tones to B flat major. I tried to go over the vowel mods, because I think I wasn't modding enough before during the chorus. Also, I looked into glottal compression and try to apply it a bit, just to help with holding back the air. I try to sing like I'm speaking under water. But I'm still very new to that, and I don't even know if I'm doing it right. Also, I found that I seemed to keep more tone up high if I dropped the jaw a bit more than I did previously. Am I going in the right direction with this? What should I do? I did this take of just the chorus right before dinner time, after working on my chord closure for four hours (with a few breaks). Sounds nice. I really liked the way that sounded. I can't sing much falsetto so when it comes to that part I have to drop to Barry Gibbs lower vocal in the harmony. Bob or someone else who is professional, can you give me more guidance? I feel like I understand what Ken talks about in vol 1 and 2 reasonably well. But where does he go into chord closure specifically? Which of the vids do I need to rererererewatch? I feel like I'm going places, but that damn chord closure is eluding me. I try to explain my questions in this video. Please help me. Apologies for picture being flipped sideways. Listen to the tone Ken demonstrates at 1:50. Part of that is bringing the sound to the front of the face, like the very last tone you used in the last seconds of your video. Also, you can use some exercises like these. BOB! BOB! YES! You're a genius! F**K! Omg it works! I thought I had to keep everything very open to avoid sounding too nasal, but it's much easier now to bring the sound forward. It makes sense now why I've had a much easier time getting chord closure in head voice on E an Ooh sounds, but not on LAH and AH. I gotta close down the sound more like Ken shows in those videos you graciously pointed me back to. 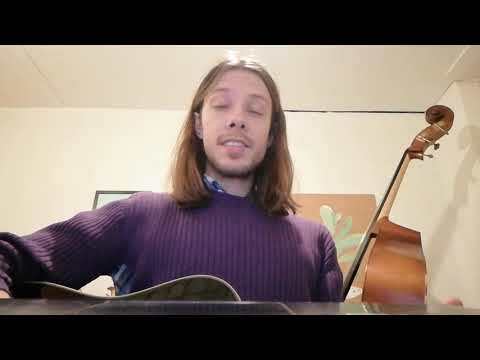 I tried incorporating some of it in this Rihanna ballad that I just learned to do. I know I have lots of things I need to improve, but I feel like I just understood how to apply mask and I didn't really before. Like I would be too worried that my throat wouldn't stay open enough, but that made my head voice flooty hooty. Is male head voice always a bit nasal sounding? It feels extremely nasal to me when I sing it like that, but actually not that nasal when I listen back to it. Another similar thing I noticed when I listened back to this recording of Love on the brain was that I initially thought the vowel mods I did on the first line of the chorus (must be love on the brain) were way too much and would make it sound silly. I thought it was using the hook mod and the eh mod so much that it was gonna sound like "moost beh loove ndeh bre-ehn". But it doesn't really. I think I am starting to clear up some misconception. I think I can get away with more vowel modding and nasality than I originally thought. This sounds good. There is much too much "stigma" against sounding "too nasal". But you NEED some nasal resonance in your high voice. The Robert Plant, Rob Halford, or Klause Meine sound can't be done without some nasal. But it's always a matter of finding the right blend. Not too much, but enough. 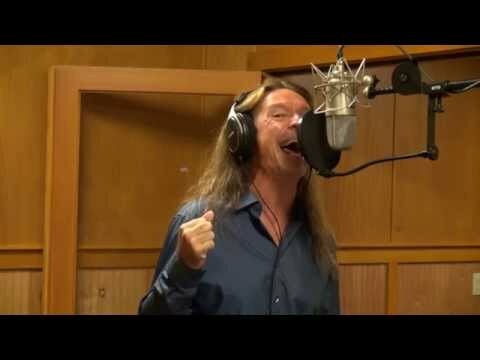 Again, you were wanting some Bee Gees sound the other day. Try this on some of the more High-pitched Bee Gees songs, and you'll have the right tone. You just found another part of your instrument that hasn't been utilized.